Personality:He is quiet and doesn't like annoying people. 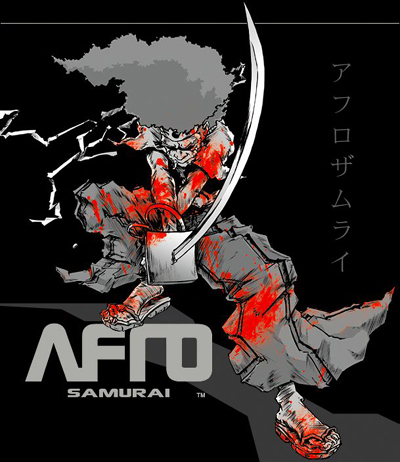 Background/History:Afro Samaurai was born in Northern Africa. He travelled over to Japan when the slavers from Roem came down to Africa. When he arrived at Japan he noticed that the Japanese people were very rude to people of his colour of skin. He formed a Clan named : The Black Serpent. He wanted to make Japan a place where any race could stay in, and make it so there is more the one Religion.He and his clan mostly sulks around the Market place of Kyoto trying to stop crime there, and stop people from stealing. Work on grammar and add more to the personality and history.